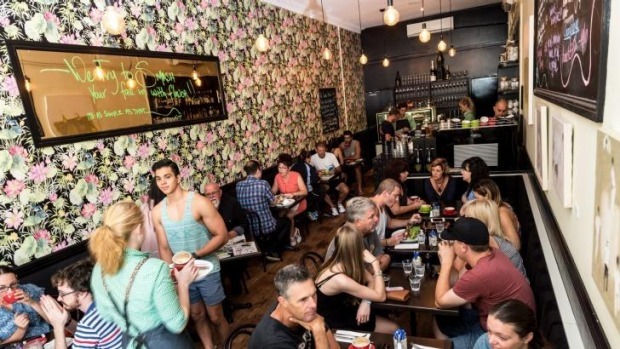 A country town cafe has beaten some of Brisbane's most prestigious restaurants to be voted the most popular venue in Queensland. Indulge Cafe in Bundaberg was today announced as the winner of the Brisbane Times Good Food Guide 2016 People's Choice award. 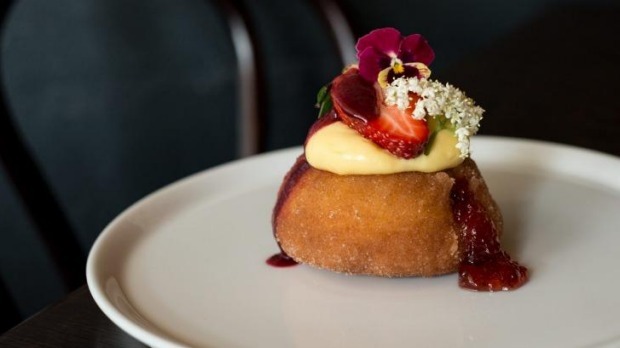 It was voted the state's favourite restaurant, not by critics but by ordinary Queensland food lovers. The support for the state's regional venues is obviously healthy, with the top three spots going to venues outside Brisbane, including Ristorante Fellini on the Gold Coast in second place and 2013 People's Choice award winner Coast at Hervey Bay in third. Townsville's A Touch of Salt came in at number seven while Allure at Currumbin was in 10th place. More than 8000 votes were cast for the award. For anyone who has eaten at Indulge the win will come as no surprise. 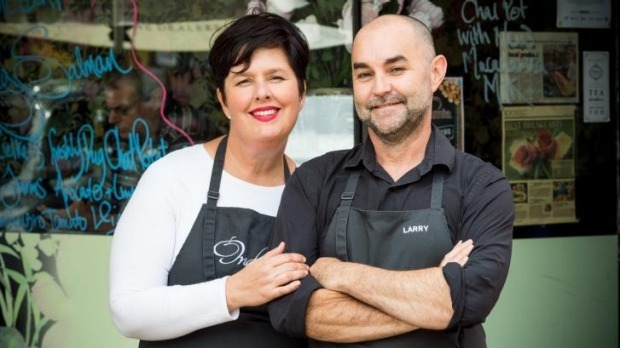 Owners Amanda and Larry Hinds dish up about 300 breakfasts on Saturday mornings before heading straight into an equally frantic lunch service, with a menu featuring local produce from the region's farms and producers. "Before we opened, once people knew what we wanted to do, they were pretty down on the idea. I was told the sort of food I did wouldn't work here, that locals 'would only eat pies and sausage rolls'," Amanda says. "It's been a bit of a journey but we won people's trust and now have a very loyal clientele." Self-trained Hinds's love of cooking stems from an unusual source. "My family was pretty much a travelling hospitality team. We'd be asked by banks to go to country roadhouses they'd taken possession of and get the kitchen up and running again, so they'd be suitable for sale. I was always in the kitchen and doing what my mother called 'fandangled cooking' - like making all the danishes by hand because I found it easy and I enjoyed it." The Hinds, who both grew up in the country, worked on Queensland properties before coming to Bundaberg and opening Indulge in 2004. With her personal connection to the land, Amanda set about creating relationships with local farmers and producers, and today almost everything is sourced within a tight radius, with the menu changing constantly to reflect availability. "We have farmers coming to the back door of the kitchen all the time - they might have a box of snake beans or okra - stuff that was picked that day and that's a beautiful thing. I feel so fortunate to live here and know the people who have their hands in the dirt, to know their stories and what's happening with their produce," Hinds says. 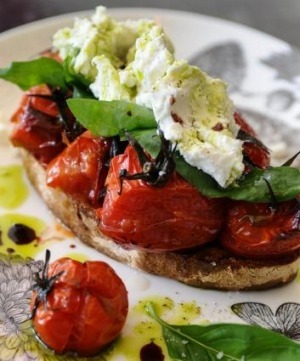 What's not sourced from nearby growers and suppliers is made in-house, from butter churned from local cream to sourdough, pastries and cakes, to pickles and preserves. With dishes such as ale brioche with cider-creamed onions, Toulouse sausage, double-smoked bacon, poached eggs and gingered beetroot relish, and lunches like slow-roasted Burnett lamb with pearl barley, beetroot, sweet potato and vegetable salad with parsnip cream, house-made labna and garlic yoghurt, Indulge would be equally at home in downtown Brisbane, but Hinds says it wouldn't be the same. "I've thought about it, but a lot of what we do is because of where we are. Having farmers roll up with produce to your back door isn't something that happens in the city." Congratulations to Kelli Mchugh, the winner of our prize for voting in the People's Choice awards. Kelli has won a $250 Good Food Gift Card every month for a year and two tickets to the Brisbane Times Good Food Guide 2016 awards. 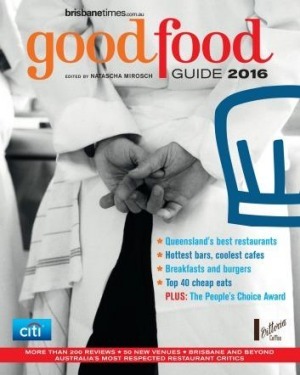 Pick up your copy of the Brisbane Times Good Food Guide 2016 from June 30 for $7.99 from participating newsagents or online at brisbanetimes.com.au/goodfoodguide for $9.99 with delivery.